When I was growing up I checked out a copy of The Complete Golfer out of the library. The book, edited by Herbert Warren Wind, is a fabulous collection of articles on history, instruction, biography, humor, fiction . . . and golf courses. 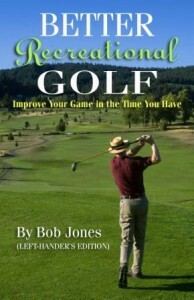 This book is what started me on a life-long love affair with golf courses. 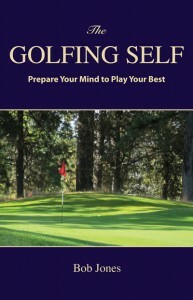 The last section of the book has color fold-out maps of The Old Course at St. Andrews, The National Golf Links on Long Island, Pine Valley, Pebble Beach, Merion, Pinehurst No. 2, Augusta, and Oakland Hills. 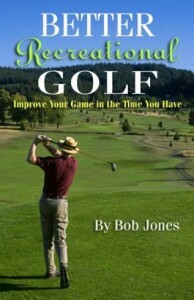 Each course is described in an essay by Robert Trent Jones. The essays didn’t do much for me, I was only 12 at the time. But oh, those maps! They showed the fairways, bunkers, the greens, where the next tee was, how you walked your way around the course. How I would walk around the course when I had the chance – little did I know. But on a vacation in 1962 I did make it as far as the eighth hole at Pebble Beach that same year, and played the Old Course six years later. Pine Valley has all that sand. I watched Byron Nelson and Gene Littler play a match there on TV at about that time. Scary. Augusta. I don’t think there is a course that so many people are so familiar with. By now we know what every hole looks like, and the back nine is burned in our brain. But how many people could lay little models of each hole in the right place on a blank piece of paper? Could you do it? The National Golf Links I didn’t get, and still don’t, Pinehurst is all about the greens, and Oakland Hills is only in there because Jones remodeled it for the 1951 National Open (as it was called in 1951). That leaves Merion. It’s eighteen holes of golf packed into a space that would hold twelve if it were built today. Ardmore Avenue goes right through the middle of it, putting holes 2-12 on one side and the rest on the other. How do players cross the road? Is there a crossing guard? There are long holes and short holes, short because there’s no room to put in a long hole, and even then some of the short holes had to be bent to make them fit. It’s such a tidy course, the one I would pick it if I were allowed to play on any one I wanted. So if you’re reading this post and you belong to Merion, give me a call. Same goes if you’re a member at Cypress Point. Give me a call. And I was just kidding about Pine Valley . . . Previous PostThe ScamTec Recreational OpenNext PostWhat Shots Should You Practice Most?